It is impossible to use the truth against leftist lies. If you ignore what they say they claim they are speaking the truth. If you deny it then they say they struck a nerve so it must be true because you’re defending yourself. If you agree with them they’ll even go so far as to say it’s a trick! They are absolutely psychotic in their dysfunctional thinking designed only to deceive. They have no wish to solve any problems, but to use them to bludgeon the righteous into submitting to their will. They call Trump “racist” and offer him redemption only if he concedes to all their demands, and if he does they reject him so they can continue to spew their hate. If it were up to liberals they would make morality laws that would punish Christian conservatives and promote their own perverted corruption. It is not just socialist countries that are the world’s toilets. Not just Democrat controlled cities in America. It is the entire liberal media on TV, radio, and the Internet that vomits sh*t out of their mouths and declare themselves to be the elites of the world who are above reproach. If the six major networks, ABC, NBC, CBS, CNN, MSNBC, and FOX, make 91% of their news negative against Trump, it is only because FOX, that has 18% of the market, makes half the news negative and half positive because they report both sides of the truth and lies in the media. This makes FOX the only actual news agency and the others all part of the liberal Democrat anti-Republican propaganda hate machine whose only purpose is not to inform, but to indoctrinate. Leftist Democrats have used the media as their judge, juries, and executioners to put Christian conservatives on the whipping post for decades. Liberal fascism is all about silencing the Moral Majority just as the Nazis did in the 1930s. 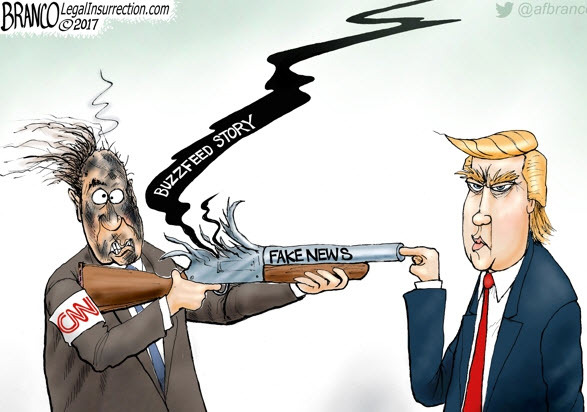 Democrats had a monopoly on the media for almost all of the 20th century and were happy to have no other voice be heard as they spun their webs of lies. Now that Ronaldus Magnus has unleashed Christian voices by making the Silent Majority the Vocal Authority, and Trump has taken to bypassing their lying fake news by speaking directly to the people, they are apoplectic. In their rage and delusion they believe they can fool the people into putting the genie back in the bottle. Their crony servants at Twitter, and those like Zuckerberg running Facebook, believe they can sneakily censor the Right by declaring that they are “protecting people from ‘hate speech’” when all they are doing is concealing the truth and righteous thought. These paid shills work for the Democrats who attempted to use their lies of Net Neutrality to empower government over the Internet. That the Net has not ceased to exist because Trump had that policy exterminated remains a wonder to ignorant liberals who didn’t know the Internet functioned perfectly before Net Neutrality was imposed. The Left cannot have their dupes to be exposed to righteous thought, which is why they tell them not to listen to Rush Limbaugh, FOX News, or President Trump by declaring them to be racist liars not worthy of being paid attention. This is the only way that liberalism can be extolled and their ignorant fools exploited by keeping them uneducated, misinformed, and urging them to embrace immorality as righteousness. Democrat’s phony indignation over Trump’s words is a galactic joke! They were thrilled with Obama’s vulgarities, especially his referring to TEA Party members like me as “Teabaggers.” I’m so gratified to see a true conservative Christian like President Trump shredding Obama’s Islamo-socialist anti-American legacy that I am ecstatic to be one of the people ‘tea-bagging’ Obama’s dead presidency.